8 1/2" overall. 3 1/2" 420HC stainless guthook blade. 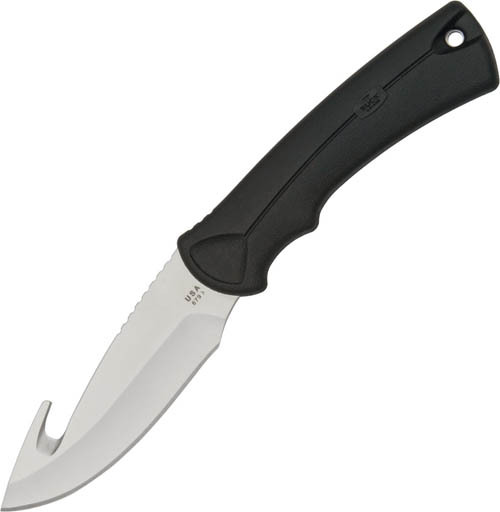 Black Alcryn rubber handle. Lanyard hole. Black nylon belt sheath.